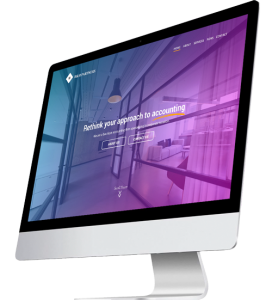 If you’ve been looking at getting a website built for your business, you would have realised by now that the cost to build a website varies significantly from agency to agency. Just like a lot of business owners you have probably ended up confused about what you really and how much you should pay. This article outlines the various costs involved in the website design process, from the most basic website set up, to an advance website for a large company. These prices are based on what we charge at Rhythm Design & Marketing. A brochure website, or single page website as it is sometimes referred is a website that only has one page. This is the most basic form of website you can get and therefore it is the cheapest. Prices for a brochure website generally range from $700 – $1,200 depending on the amount of work needed to get it up and running. There are two types a brochure website you can purchase; a premade design or a custom design. A premade brochure website is one that has been prebuilt, the designer will the input all your relevant content such as your logo, images, write content, fonts and colour patterns. The finished product will look like it has been designed specifically for your business. A premade brochure website generally costs around $700 – $900 to get the website up and running. A custom brochure website on the other hand, is one that is design specifically for a business. A custom brochure website still only has one page, but it will be designed in a manner that will incorporate all your necessary business information. A custom brochure website will be necessary if there is not a premade website template that accommodates your needs. A custom brochure website will cost on average around $900 – $1,200 to build. The cost to build a website increases with the amount of work required to finish the project. As the name suggests a predesigned website is one that has already been designed and therefore takes less time to design. The client will be presented with a number of predesign websites that they can choose. Once the layout is selected the designer will input all relevant information into the website including logos, images, written content, fonts and company colour schemes. The cost of a pre-designed website ranges from $1,500 – $3,000 depending on the amount of work involved to personalise it. A premade websites price is quoted on the estimated number of hours taken to get the website built. Predesigned websites around the $1,500 mark generally only have five pages and require basic modifications to the existing layouts. Premade websites around the $2,250 mark generally have 5 – 10 pages and therefore require more work to get them completed. 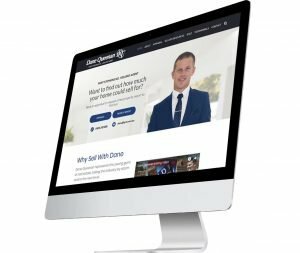 The $2,250+ premade websites are ones that have around 10 – 20 pages and require a fair bit of customisation to get them looking good. A Hybrid premade website is a premade website with some customisation. With a hybrid website design, the client can choose the layout for every page on the website, as opposed to having to choose an entire premade website design. The client has the discretion to make layout changes to design to suit their needs. Custom features can be added to the website such as live chat, quote forms, online booking forms, blogs, content management systems, and mobile customisation. The cost of a hybrid premade website varies from $2,500 – $5,000 depending what is needed by the client. The price is based on the number of pages the website will need, the number of changes to the premade layout, and the number of custom features added. A developer template website is a premade template website built by a third party specifically for website designers to modify for their clients. There are numerous market places we’re clients can choose templates made by third parties that professional website designer can modify. This gives clients an almost limitless amount of options for their website design, as well and the ability to choose a design that they really like. The price of these websites generally ranges from $2,500 – $5,000 depending on licensing and amount of work required to modify the design. Developer templates generally take more time to design then premade sites because they have a large variety of functions that require customisation. As the name suggests a custom website is one that is designed from scratch specifically for a business. The designer will work within the client’s needs and incorporate the businesses existing branding into the design. The price of a custom website can vary significantly depending on the work involved. On average the price of a custom website will range from $4,000 – $10,000, however in some custom websites can be upwards of $20,000. A basic custom website with ten pages or less generally costs around $4,000 – $6,000 this will include a custom content management system. The cost to build a website increases with the more customisations requested by the client. An eCommerce website is one that can accept payment online through a secure gateway. The price of an eCommerce site varies based on the number of products listed as well as the amount of customisation required to build the website. A basic template eCommerce website will cost around $4,000 – $7,000, this will include a custom content management system and secure payment gateway. A custom eCommerce website on average costs between $6,000 – $15,000. 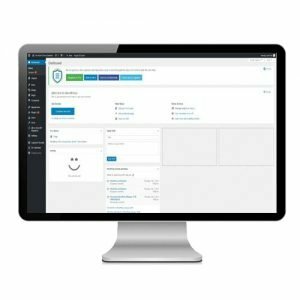 With a custom eCommerce website, the client and designer will work together to build a website that is unique for the business. This of course takes longer than a template eCommerce site and therefore costs more. In some situation it will be required that your website needs to communicate and work with different software through the use of API’s. This can include automatically inputting contact details into CRM systems, integration with calendars, online booking software and email software. The cost to integrate your website with different software varies significantly depending on what is needed. Simple integrations can cost around $500 where as more advance integrations could cost upwards of $10,000. A CMS or content management system gives our clients the ability to update the information on the website. We customise our content management systems to ensure ease of use and remove any unnecessary functions. We can also include video tutorials and instruction manuals that will teach you how to manage your websites content. We usually charge from $250 – $1,000 to set up a content management system. The price depends on the amount of control you need over the website. For the lower range you we can set up a content management system that will enable you to make basic changes such as add/edit pages, edit gallery, add blog posts etc. A more advanced content management system with custom made instructions and video tutorials will cost more. The cost to build a website isn’t the only cost a client will have. Websites require regular maintenance to ensure they function properly. Website maintenance includes software updates, plugin updates, periotic backups and license updates. The price of website maintenance varies from $20 a month to $100 a month. Website maintenance, website hosting and ongoing support are sold in a monthly package. We offer a range of website hosting and domain packages. A basic website will cost on average $30 a month, a larger, more advanced website can cost between $100 – 200 a month for hosting and domain name registration. The cost to build a website varies significantly from client to client. As a basic rule of thumb, the more customisation required, the more expensive the cost. If you’re on a tight budget, the best way to decrease costs is to get something basic and not opt for luxury features.